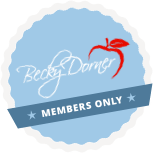 Employee Handbook - Becky Dorner & Associates, Inc. Thank you for all the work you do to provide high quality nutrition services to our clients. We appreciate your dedication! Our Personnel Manual has been revised with just a few slight changes as recommended by our attorneys. The manual is provided to answer questions, provide pertinent information about your employment with BDAC, and give definition to specific areas regarding the day-to-day operations. It is designed to be a positive aid to support you in your success with BDAC. It covers our mission, vision, values and organizational chart, and provides general guidance for conduct, policies and key benefits. It was reviewed by our attorneys to assure that we abide by all state and federal employee regulations.